It's the phone call every parent dreads: in the middle of the night, Sandy Cline learns that her twenty-year-old son, Jordan, has been in a car accident. Her nephew, Travis, was also in the car, along with Travis's girlfriend. All three are alive—but barely. The car was smashed against a tree along a remote and winding road, beautiful but deadly, in their rural Texas Hill Country town. In the wake of the car crash, the close-knit family is tested like never before. Jenna, Travis's mother, blames Jordan—as well as her sister, Sandy—after reports surface that Jordan had been driving. As the young adults struggle to survive, tension between their parents escalates. But when trust is broken and a shocking family secret is exposed, it creates a perfect storm of harrowing consequences. Rumors in the small town spread like wildfire. 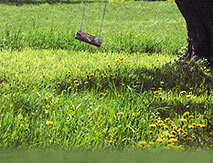 When details of the accident are questioned, Sandy and Jenna wonder if their family has been destroyed beyond repair. As always, there's much more to the story...if the family is to survive, they will have to come together to confront the terrible truth and overcome their pain. But are some betrayals unforgivable? "Fautlines is a gripping tale of secrets and obsessions in which nothing is quite as it seems. After tragedy and accusations of blame rip a family apart, Barbara Sissel masterfully unravels the shocking truth." "This is that rare sort of book that grabs you from the very first line and refuses to let go. Beautifully written, intricately plotted, and perfectly executed, Fautlines is an intimate look at the unraveling of a family after a tragic accident. Sissel weaves a clever web of emotional fallout as she alternates seamlessly between two storylines that converge in a devastating way. An atmospheric, emotional, suspenseful journey that will stay with you for a long time after you've finished the last page." "Faultlines is an in-depth portrayal of how one moment—and one mystery—can crack a family open. These compelling characters will stay with you long after the final reveal. Sissel's fans will not be disappointed." 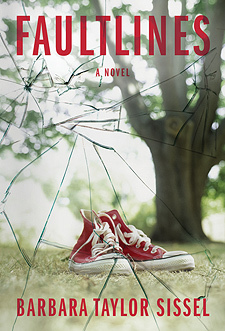 "In Faultlines, Barbara Taylor Sissel brilliantly weaves a compelling, suspenseful, and emotional family drama...Through a multitude of twists and turns, each character is faced with difficult decisions that fracture family bonds while wondering who they can trust, let alone whether or not they can recover from the tragedy. As the parent of a teenager, I immediately connected with the story and the characters, and was hooked from page one. Ms. Sissel is a masterful storyteller when it comes to suspense and an exceptional writer. It's a definite page-turner!" "I was completely sucked into Faultines. Told with great skill and compassion, Faultlines had me feeling for so many of its flawed but very human characters, each of them struggling toward the grace that can only come of forgiveness. My favorite of Sissel's many fine books, Faultlines kept me reading long past midnight...and the powerful, yet hopeful, resolution will stay with me for a long time."